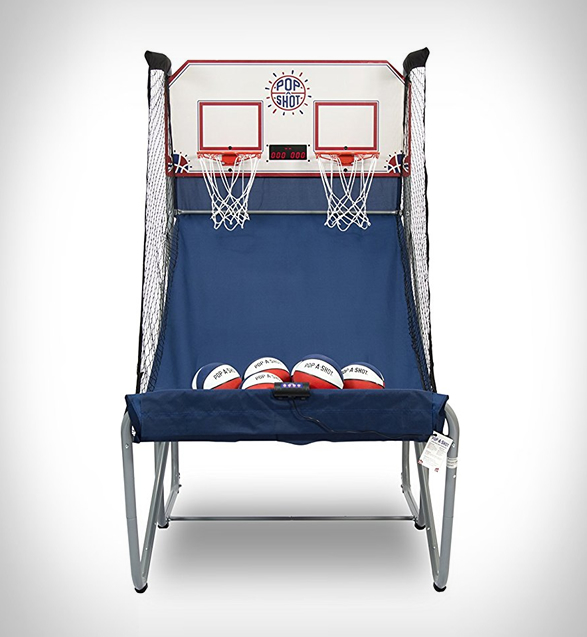 A trip down nostalgia lane... you probably remember spending hours throwing miniature basketballs into the local arcade machine, well, you can now play the classic "beat the clock" free-throw basketball game at home! 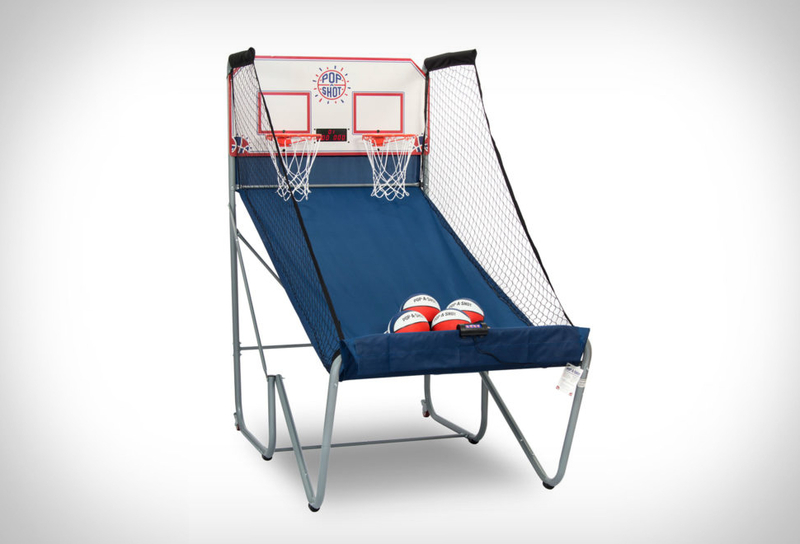 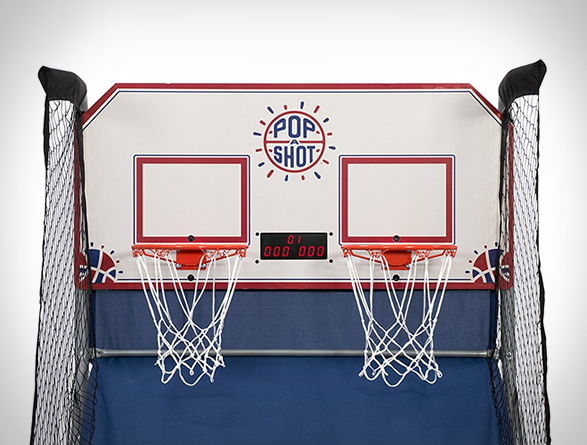 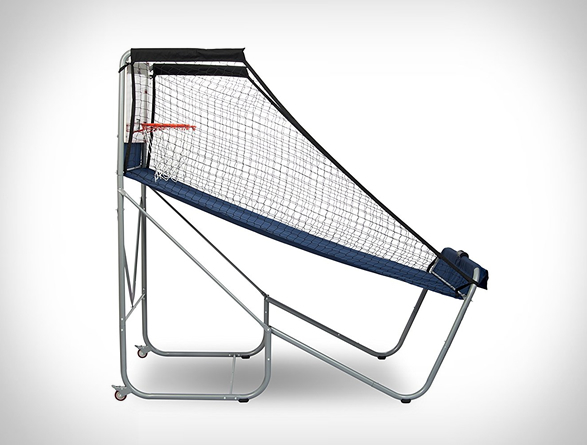 The Pop-A-Shot brings basketball arcade action to your home, the popular game makes for a great competition and is always a big hit at parties. 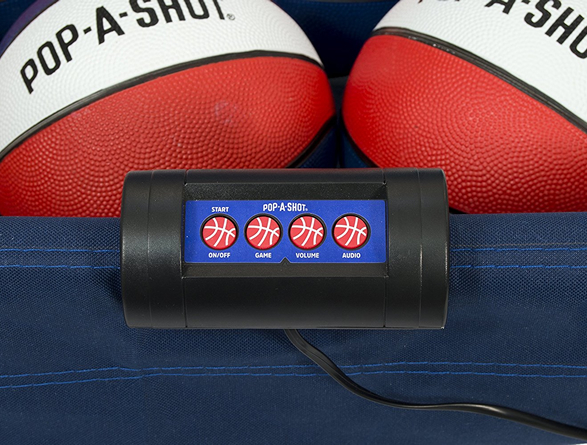 You can choose from 10 different games from the classic 1-on-1 competition to individual skill challenges, follow the scores on the large LED scoreboard and enjoy the audio options including an announcer who calls the game and cool sound FX.